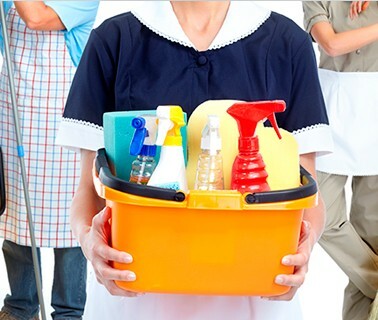 Green cleaning can have a lot of definitions, but the main goal of green cleaning is to use cleaning solutions and methods that keep us and our environment healthy. Green cleaning can fall under the umbrella of using a green cleaning product or cleaning your home in a way that, for example, reduces waste. For some homes, green cleaning means that they only use substances like baking soda, vinegar and lemons to clean the home surfaces. Those are natural green cleaners. Some households may seek out manufactured green cleaning products that are healthy for the environment (some are green brands). When you use a green cleaning product, you may want to avoid phosphates, chlorine, artificial fragrances, and artificial colors. Many cleaners on the market now are also marketed as being biodegradable. Other cleaners have ingredients that are grown organically or produced using sustainable farming practices. 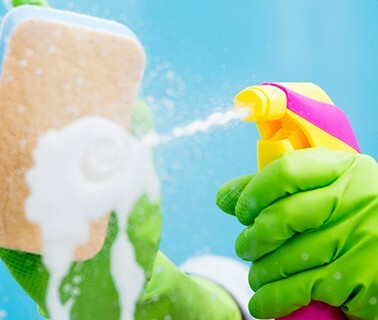 Some green cleaning products may certify that their items are fair trade, meaning that the product meets certain environmental and labor standards by those who produced it. Green cleaning products may not be free of additives or harmful chemicals–perhaps they use recycled packaging or donate a portion of their profits to environmental causes. 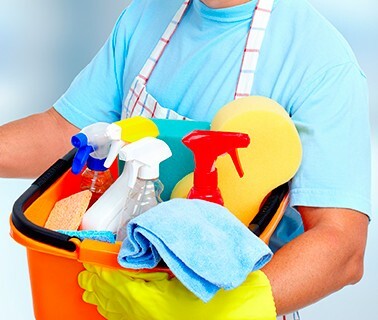 Those are all examples of green cleaning products.